Fundamentals & All Levels Classes: Any Belt. Advanced Kids Classes: White & Yellow Belt and Up and at least 6 years old. Fitness Conditioning Classes: The conditioning class is always a popular class and makes for a great workout. The class involves repetition of a few techniques over a couple rounds. We look forward to seeing our members of all levels joining us for the conditioning class. The Schedule is dynamic and is improved every season (Summer, Fall, Winter, and Spring) to better fit our students needs. 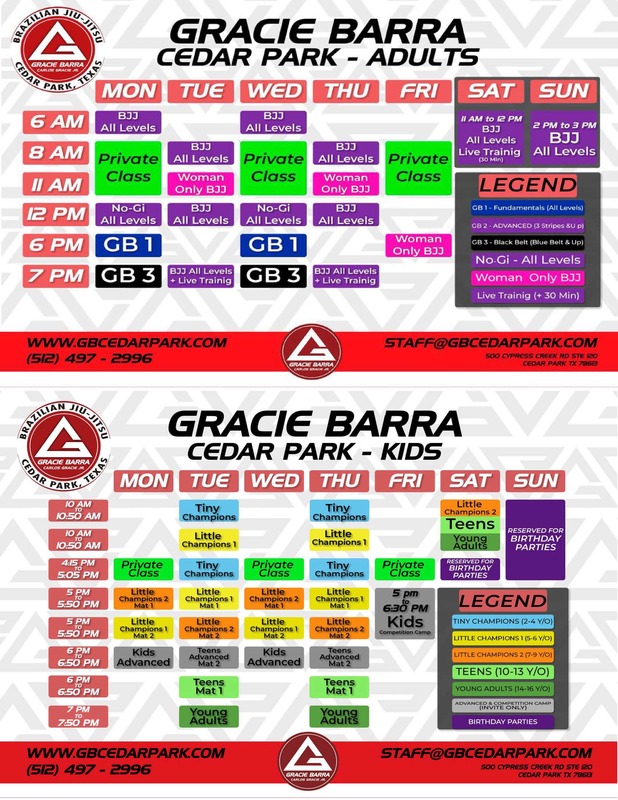 Private classes can be scheduled during the morning and other times depending on the instructors availability. Students interested in private training can talk to our team members.